Dr. Buchanan is a 2005 graduate from Southern College of Optometry in Memphis, TN. 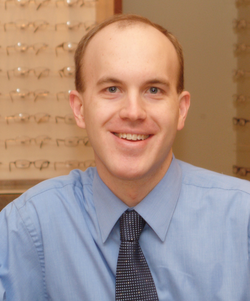 Dr. Buchanan is a member of the American Optometric Association along with the Colorado Optometric Association. He grew up with a desire to work in a medical field and wanted a career that was devoted to helping people. Optometry was the perfect choice. His specialty is general optometric practice. In his spare time, Dr. Buchanan enjoys spending time with his family, including his wife, daughter and 3 sons. Stop in today to say hello!